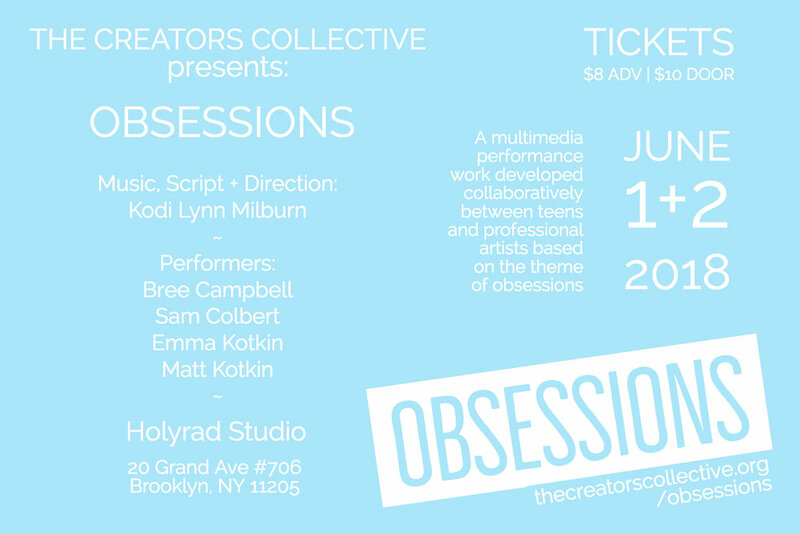 Join us for a special weekend of performances from four local teens performing an original piece devised in collaboration between teens and professional artists based on the theme of obsessions. Obsessions is a multimedia performance work collaboratively developed between teens and professional artists based on collected memories around the theme of obsessions. Something we all experienced in our teenage years, obsessions exposed what was most important to us, what we couldn't stop thinking or talking about, and often times, what defined those informative years for us. 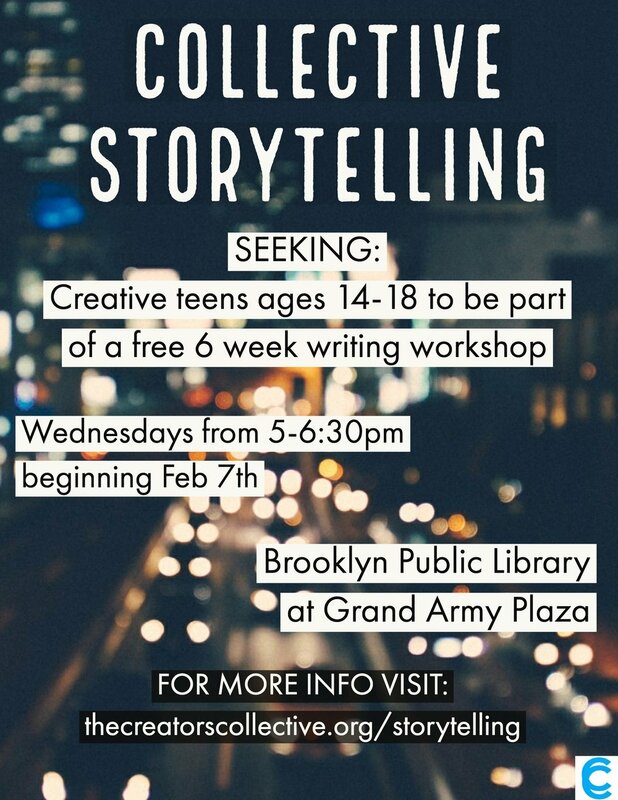 This project will begin with a six week teen writing workshop followed by an interdisciplinary performance project bringing together teen and professional artists to collaborate on a devised work to be performed in Brooklyn, NY on June 1-2, 2018. This project aims to explore common themes from a pivotal time in adolescence through movement, language and film. Obsessions is the third phase of Collective Storytelling, an ongoing, grant-funded collaborative and interdisciplinary project that offers young and professional artists the opportunity to develop work together that focuses on identity and memory. The project is sponsored, in part, by Citizens Committee for New York City. Amy Beth Wright teaches writing at Fordham University, Purchase College, and the Fashion Institute of Technology. She is a Brooklyn-based writer, focusing on autobiographical writing, short fiction, and travel essays. Most recently, her writing has appeared in Southwest: The Magazine, Catapult, the Nashville Review, Metropolis and AlterNet. She also edits Parks and Points, a website dedicated to sharing writing about public lands. 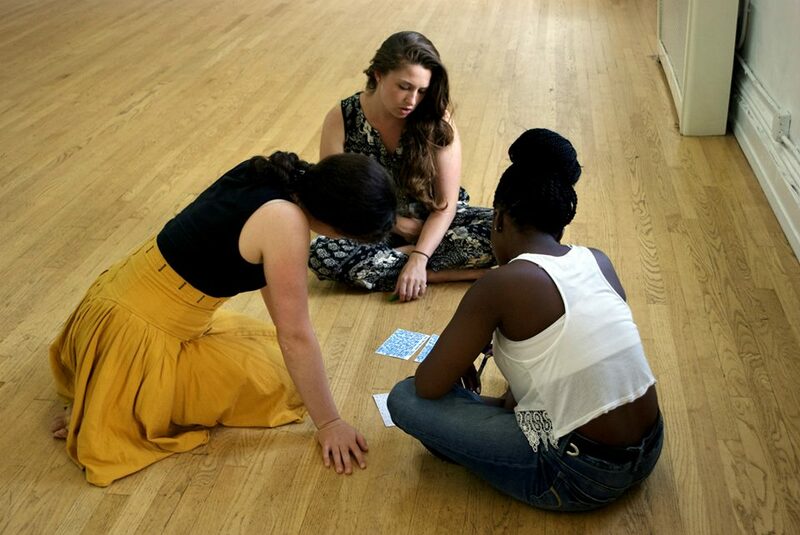 Image from Collective Storytelling's 2015 production of When I Was Seventeen. Photo by Terrence Pope. KODI LYNN is a down to earth Nebraska native. She moved to the city for a two year conservatory program at the New York Film Academy. During her time studying musical theater at NYFA, she sang at 54 below in Ewalt and Walkers' “The Making of Madeleine Moore”, belted in NYFA’s production of “Chess”, and worked with Bobby Cronin and Crystal Skillman on a musical adaption of the claymation film “Mary and Max.” Before leaving school she wrote a dance on film script called “Could you Dance in my Shoes” that was brought to its feet and directed by Deidre Goodwin. After graduating the program Kodi pursued many different avenues of the art world. She has been the assistant director for two readings at the New York Film Academy and a short film entitled “Je l’aime a Mourir.” Kodi is currently working on further developing her musical, Chrysalis, which premiered in Brooklyn in August 2017.